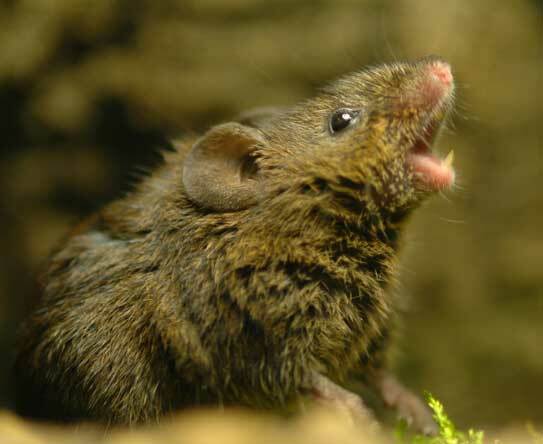 University of Texas at Austin researcher Steven Phelps is examining these unconventional rodents to gain insights into the genes that contribute to the unique singing behavior—information that could help scientists understand and identify genes that affect language in humans. FOXP2 mutations, on the other hand, can have significant effects on speech because of the gene’s role as a transcription factor—a gene product that helps control the expression of other genes. Phelps’ uses next-generation sequencing to decipher how FOXP2 interacts with DNA to regulate the function of other genes. The process involves reading tiny fragments of overlapping DNA so that the entire sequence can be deduced. It is a procedure that generates massive amount of data that only the processing power of a supercomputer can handle, said O’Connell. “When people do genome wide association studies in humans the genetic variation tends to occur in huge blocks. So if you get some DNA sequence that predicts a phenotype, like risk for autism, it’s very hard to know what aspect in this very long stretch of DNA is actually important for that,” said Phelps. Previous articleBaby genome sequencing: Just because we can, should we?